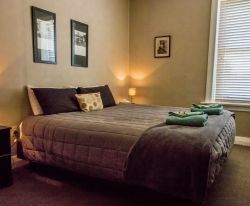 The Otago Rail Trail is full of history and a must is to stay in these unique hotels which once were the hub of the Railway. We offer all the comforts of home in some of the most beautiful and serene surroundings. So experience for yourself a grand establishment of yesteryear coupled with so many modern comforts. 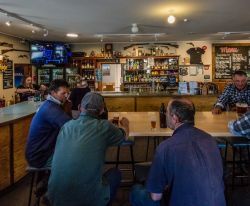 The recently refurbished Hotel offers genuine country hospitality and is the only fully serviced and Licensed premises in Waipiata. Warm cosy fires for winter and an Alfresco deck for Summer and stunning views make the hotel the perfect place to stay all year round. 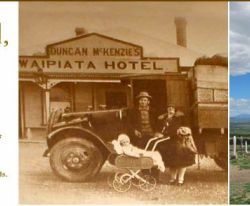 This historic hotel has stood on the site since 1899 and is the perfect distance from Lauder, Oturehua, Wedderburn and a comfortable ride from the railhead at Middlemarch (see our location map). 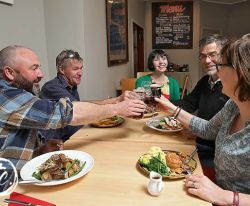 The addition of a spacious all weather deck affords stunning views of the Maniototo and for those who love dining alfresco is perfect for enjoying some of the best meals on the trail. For those on the go, we serve delicious snacks, lunches and ice cold beer, including the popular Emerson's Pilsner. 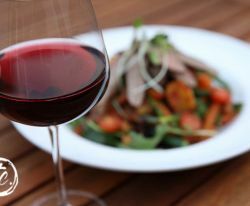 Our menu offers meals prepared using fresh produce and local ingredients wherever possible. A must try is our own label, Waipiata Country Hotel Pinot Noir & Riesling, bottled by Stephen's relatives from a well renowned Central Otago Winery. 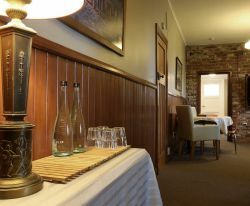 The hotel provides good quality affordable accommodation while experiencing an original Country Pub. 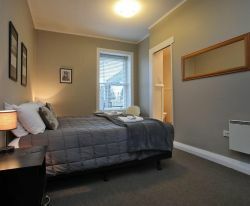 We have King and Queen Bed rooms, twin bed, sole occupancy and family rooms with either en-suites or private bathrooms. 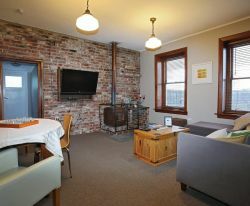 There is also a delightful original 19th century Mudbrick room which has been recently restored. Comfortable beds, quality linen and stylish decor are just a part of the recent total refurbishment of the hotel. Disabled facilities are available. Catch up on the day’s news in the private guest lounge area or just relax back on the comfy lounges and chat with fellow travellers. 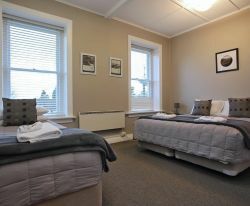 We also specialise in small to large group accommodation. Group rates are available. 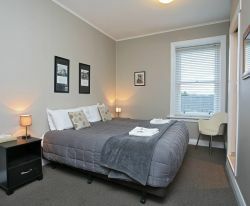 Our tariff is from $70pp which includes a healthy continental breakfast and complimentary toiletries. Very comfy beds. Enjoyed it all.